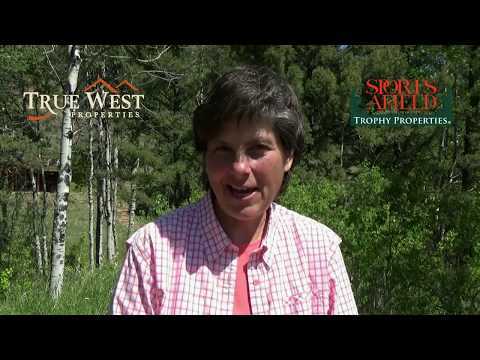 What Is Sports Afield Trophy Properties? Sports Afield Trophy Properties is a broad-based network offering countryside property listings. Sports Afield Trophy Properties markets ranch, agriculture, woodland, forest, equestrian, water frontage, hunting, fishing, and recreational outdoor properties. All sales are conducted by our professional, independent, participating real-estate brokers. 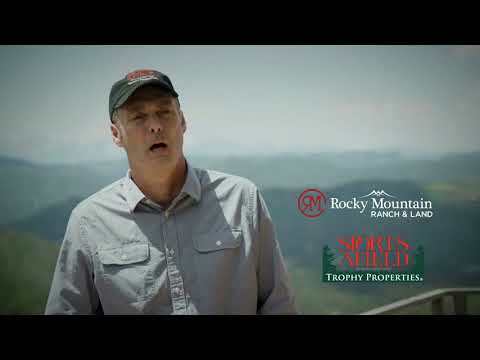 If your passions are farming, agriculture, nature, woodlands, hunting, fishing, boating, forests, agriculture, ranching, hiking, or equestrian sports, or you are just looking to purchase property in the great outdoors as an investment, our participating brokers can help you find the property of your desire; likewise, they can sell your trophy property. Sports Afield Trophy Properties is not a real estate broker but rather provides marketing and support to independent brokers. What Do Our Brokers Offer? Our network is comprised of experienced brokers who are countryside real-estate specialists who live, breathe, and understand rural properties. This exclusive group of specialized brokers has a deep understanding of the value of land, wildlife, soil, woodlands, nature, wildlife habitat, wildlife, water, the environment, and all aspects of good land stewardship. Because Sports Afield Trophy Properties’ participating brokers understand the value of land and outdoor properties, they are by far the best professionals to consult when selling or buying country side real estate. They are knowledgeable, they understand listing prices, and they can guide a seller to receive the maximum value for his property. Our specialized brokers also have access to lenders who specialize in premium countryside properties and who can arrange the best financing for the buyers. All of our participating brokers are true professionals who have completed a detailed vetting process, essential for inclusion into the SATP network of independent real-estate professionals. What Is a Trophy Property? Are You Interested in becoming An Exclusive Sports Afield Trophy Properties Broker? Sports Afield Trophy Properties (SATP) affiliated brokers are in an elite class. Once you become a part of our network, you work within an exclusive marketing territory or sub-territory within your service area. There are over 300 territories worldwide and more than 225 territories in the United States alone. Once a broker leases a territory, he/she is given the exclusive right to list and sell under the SATP name in that area. Sports Afield Trophy Properties brokers can expect a definite competitive advantage, enhanced name recognition, and instant credibility when they join this program, which is ideally positioned to connect North America’s most active and affluent countryside buyers and sellers. Besides the web-site, sportsafieldtrophypropeties.com, the company has an impressive array of media platforms to help find buyers and sellers. These include the annual SATP 150-page brochure that highlights properties in the network; print advertising in the real estate section of Sports Afield magazine, which is issued 7 times per year; advertising on The World Of Sports Afield Television show, which runs three times per week each July through December; polybag inserts with Sports Afield magazine; coop/discounted national print advertising program in national real estate magazines;: SATP-brand advertising with other Sports Afield licensing programs; booths at national consumer shows, which attract high-end affluent buyers; MLS syndication to Land Watch, Lands of America, and approximately 600 affiliated websites directly from the SATP web site; and much, much more. Sports Afield Trophy Properties is the largest, most exclusive network of countryside property experts specializing in land, buildings, and homes for sale. Each state is divided into several territories. These areas are awarded to specialty real-estate brokers who are thoroughly vetted through a detailed application, interview, and training process. Once a broker has completed this process and has been awarded an exclusive territory, he/she becomes responsible for managing and developing that territory. These exclusive brokers are allowed to use the Sports Afield Trophy Properties name and logo in their marketing and to advertise their listings on the Sports Afield Trophy Properties website. This is a brand affiliation program and not a franchise program. Brokers maintain their own identity and company name; participation with our program gives brokers access to the many media platforms in the program and the right to show that they are affiliated with SATP. If you are interested in joining our program, please contact [email protected] or call 714-622-2774 for more information.